Welcome to the 2017-18 St. Louis Coro Fellows! These 12 talented, high-potential leaders have moved to or stayed in St. Louis to participate in the Coro™ Fellows Program in Public Affairs, an intensive full-time public affairs program administered by FOCUS. This select group of Fellows in St. Louis is part of a group of 60 Fellows chosen nationally to participate in the program. Over the course of nine months, the Coro Fellows will participate in a variety of project placements in each of the following five sectors: nonprofit, government, business, electoral politics, and organized labor. While exploring the public affairs realm in St. Louis, they will receive rigorous, hands-on training in project management and communication. The Fellows will interview civic and community leaders and delve into a variety of regional issues, as well as state and national affairs. 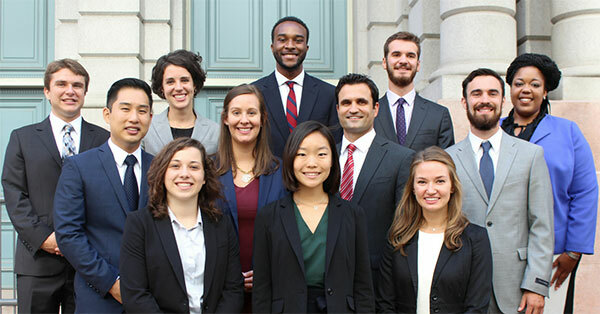 Launched in 1947, the Coro Fellows Program in Public Affairs is a national program located in five U.S. cities: St. Louis, Pittsburgh, New York City, Los Angeles and San Francisco. Click here to learn more about this year’s Fellows.